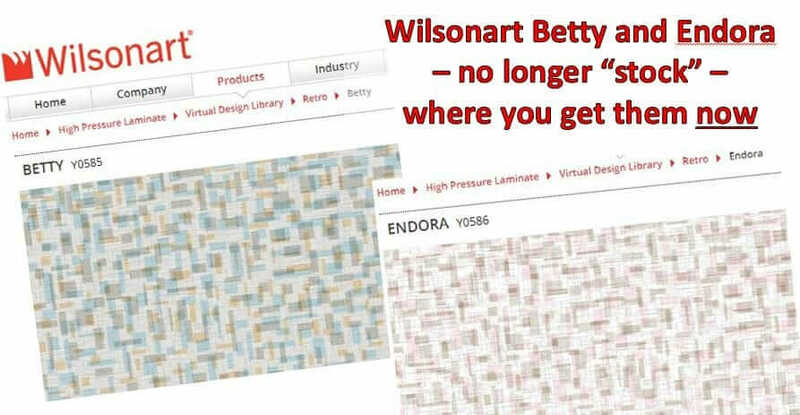 Big news for retro laminate lovers — Wilsonart has revived two historic patterns from their archives: Compre from the 1960s — and Daisy from the 1970s. These designs come in 12 colorways, including several in original 60s and 70s hues. These retro revival laminate patterns are part of Wilsonart’s enlarged Virtual Design Library, which now contains some 150 unique designs produced via high-resolution digitally printing (vs. made with deco paper) available by special order. Use them for your retro kitchen countertop, bathroom countertop — or even, furniture! Disclosure: Earlier this year I met with Wilsonart to discuss vintage laminates and laminates available today for midcentury style kitchens and bathrooms and ways we might be able to work together to get more vintage-style designs and colorways back on the market. While I was not involved specifically in the rollout of these designs shown today, I saw the original document prints, provided a few suggestions, and encouraged this effort. I continue to work with Wilsonart in this area and if any collaborative projects result, will disclose the blog’s involvement. While I was there I visited the Wilsonart House — nom nom pink bathroom! “Daisy is a design right out of our 1970’s archives. Popular in the early days of laminate, this smallscale graphic design has a random pattern of asterisks scattered on a white background,” Wilsonart says on their website. We sure like the look of this one, and can’t wait until we see the samples on their way to us. Envy Daisy, Apricot Glow Daisy, and Autumn Lights Daisy are very, very close to the chips in our archives. Tropical Daisy, Field Daisy, and Wintergreen Daisy were inspired by the colors of the 1960’s and 70’s. I actually did a search on Pinterest for fashion of the 60’s and 70’s and some really fun things popped up. Field Daisy was inspired by a crochet dress pattern from the 60’s! Of course, we needed the Ice Daisy to satisfy the group who love black and white. It’s actually interesting to see it in grey scale; it takes on more of the asterisk look than a daisy. The scale of the pattern — the daisies and the way they are sprinkled about — are also close to the original. Hey: Click on any of these photos — and they will enlarge on screen, so that you can see more of the detail. 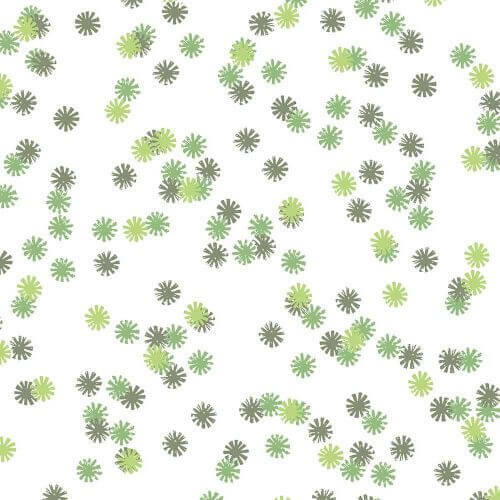 Envy Daisy — pattern of lime, olive and pine asterisks scattered on a white background. Color: Very close to the original design. Apricot Glow Daisy — pattern of tan, coral, and brick asterisks scattered on a white background. Color: Very close to the original design. Autumn Lights Daisy — pattern of yellow, orange, and brown asterisks scattered on a white background. Color: Very close to the original design. Tropical Daisy — pattern of pink, orange and purple asterisks scattered on a white background. Field Daisy — pattern of yellow, blue, and green asterisks scattered on a white background. Ice Daisy — pattern of silver, taupe and battleship grey asterisks scattered on a white background. 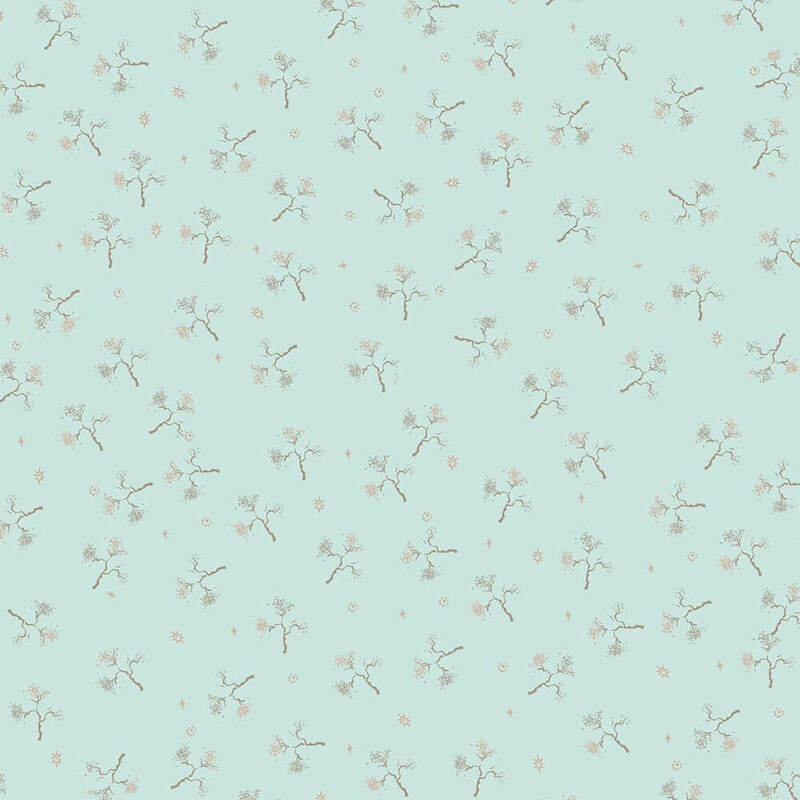 Wintergreen Daisy — pattern of mint green, aqua blue, and pewter scattered on a white background. In regards to the Compre design, from what we can tell, the design was on an overlay and paired with our solid colors of the time. Think Gold Lame or Glitter. Glitter was an overlay paired with solid color papers. Our Compre designs today are printed which allowed us to get as close as possible to original colors, but not exact. It is very difficult to match a printed color to a solid color paper that is made from a color slurry. 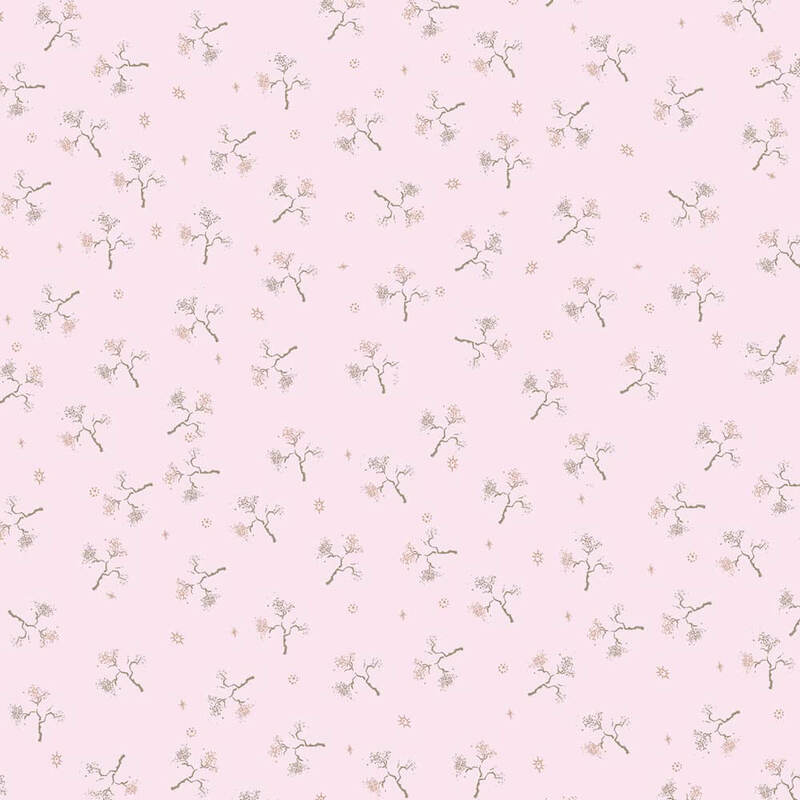 Pink Compre — with a pale pink background. Cadet Compre — a pale blue-grey background. 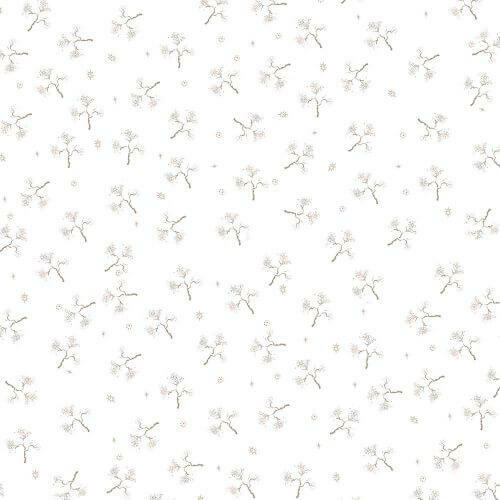 White Compre — a white background. Yellow Compre — a yellow background. Mint Compre — a pale mint green background. Q. Are new patterns exact replicas of the originals? As close as possible. In the case of Daisy, the scale is the same. In the case of Compre, the scale is slightly smaller. Q. If not, why did you decide to change the patterns in scale/pattern? In both cases, we did not have a lot of original material in order to be completely faithful to the original scale/pattern. We’re talking just chips. We had a lot more Daisy chips which made it a little easier to piece together. With Compre, we have even fewer chips. We were actually quite jazzed with the idea that we were “rewriting” history. We gathered the information we did have, and attempted to create a design that looks authentic. Q. Are some of the colorways exact replicas? If not, how did you choose the new color ways? For some, as close as possible, for the rest we really were inspired by the era and had fun experimenting with color. Envy Daisy, Apricot Glow Daisy, and Autumn Lights Daisy are very, very close to the chips in our archives. 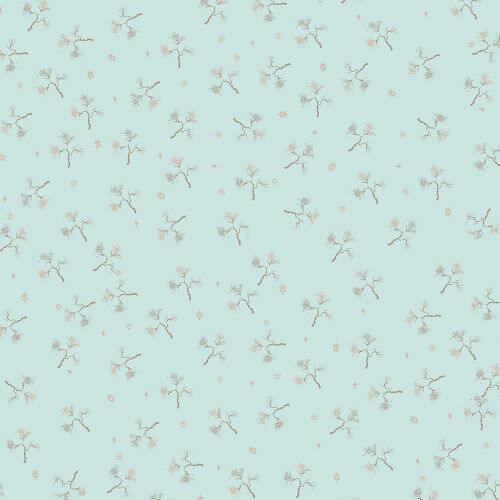 Tropical Daisy, Field Daisy, and Wintergreen Daisy were inspired by the colors of the 1960’s and 70’s. I actually did a search on Pinterest for fashion of the 60’s and 70’s and some really fun things popped up. Field Daisy was inspired by a crochet dress pattern from the 60’s! Of course, we needed the Ice Daisy to satisfy the group who love black and white. It’s actually interesting to see it in grey scale; it takes on more of the asterisk look than a daisy. Anyone can order 8″ x 10″ samples via Wilsonart’s website. I don’t think we can support customers calling us directly to order – at least not at this stage. On the other hand, they’ve always been able to order these products through a designer, a distributor or through the home centers.a consumer can order the VDL designs through Home Depot and Lowe’s. TEMPLE, TX (November 4, 2014) – For centuries, designers have searched for more design choices – in fabrics, wallcoverings, furnishings, and no less so, in laminates. Now Wilsonart has an answer – but it’s not on the wallboard, it’s online. A leading manufacturer of decorative surfaces for more than 50 years, Wilsonart responds to the designers cry for more with 150 new designs, all available as part of a Virtual Design Library (www.wilsonart.com/VDL), an evolving, curated collection of laminates available in just 2-3 weeks from order. By visiting www.Wilsonart.com/VDL designers can access this curated library with patterns ranging from photorealistic imagery such as food and floral patterns to abstract and artistic graphics that subtly set a mood. Think color and bold graphics. Think fun with artistic flair. Those are the themes of the first iteration of designs to join the expanded Wilsonart® Laminate collection. The first 150 designs fall into 9 themed collections: Geometrics, Folk Art, Retro, Sports, Woodgrains, Youthful, Study Hall, Delectable and Nature. Wilsonart plans to expand the online library with additional collections throughout 2015 and beyond. Many of the curated patterns in this collection are also available in broad colorways, providing even more choice and inspiration. Selection is one thing. But what about delivery? Wilsonart’s new offer comes with speedy turn-around on everything – just 2-3 weeks from factory to fabricator. Samples are readily available online at www.wilsonart.com/VDL or through Wilsonart’s stellar Customer Service Center at 800-433-3222. 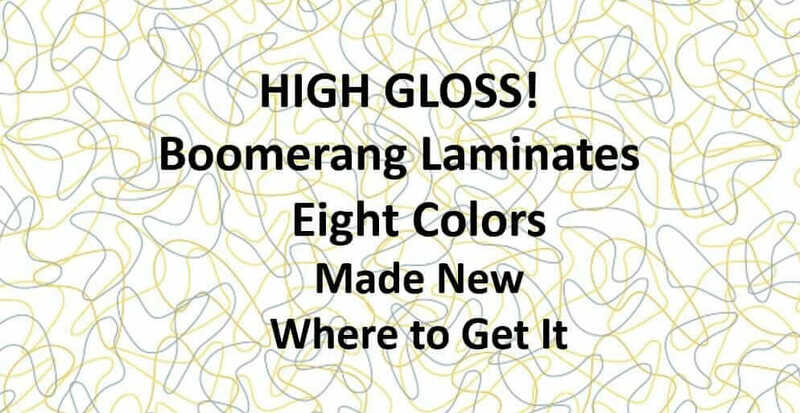 Don’t forget, Wilsonart also offers retro boomerangs as part of this collection, which we’ve covered before, too. This is beyond exciting folks! 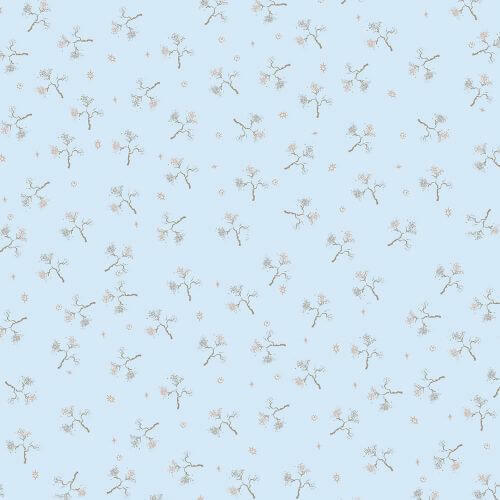 Kate and I have requested samples already so we can see these fabulous new options in person — we’ll surely be back with more about these fun new patterns! Hi! I know it’s been a while since this article was posted, but i HAD to comment. 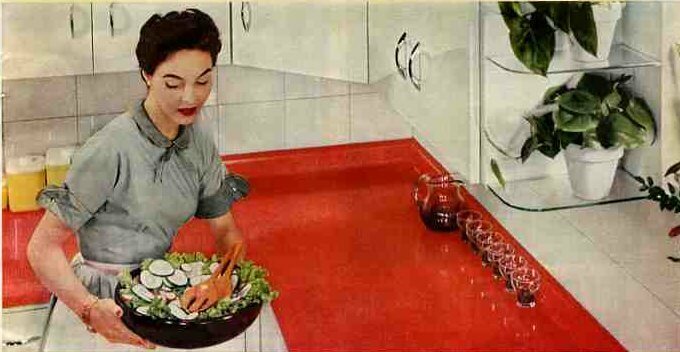 I’m getting ready to renovate the kitchen in my 1953 split-level in Upstate NY. The countertops are clearly ancient, and as a joke I thought I’d look to see if i could find the pattern… interestingly enough, our countertops are actually an original execution of Wilsonart Compre! I’ve been calling them “lighting trees”, but that’s definitely the pattern! Your article even confirms that the pattern was printed over their silver and gold metallic flecked material! so crazy! 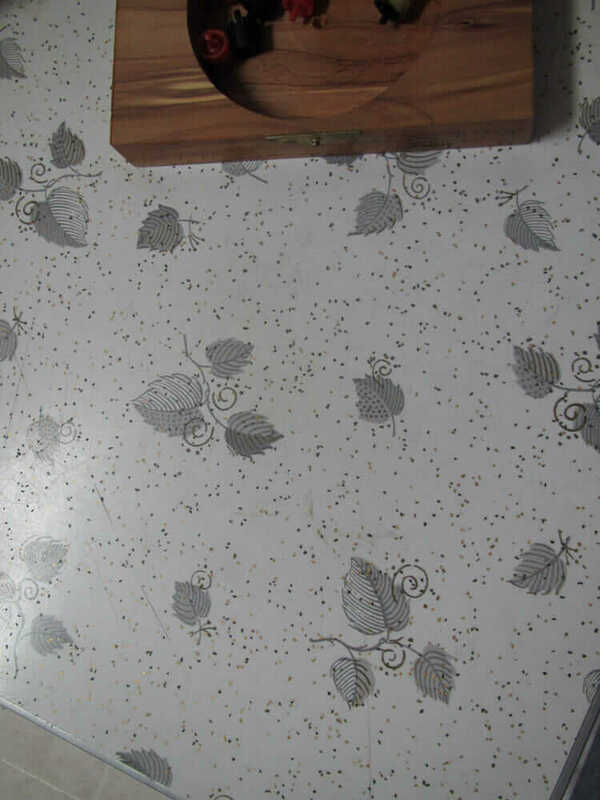 I’d be happy to provide photos if you’re interested… the countertops are actually still in perfect shape! Can they PLEASE bring back the glitter laminate?!?! I think you could talk them into it! ??????? ?